As of Fall 2010, 6.1 million students in the United States were enrolled in at least one online course; this translates into 31% of all higher education students taking at least one course online. Of the 2,500 college and universities surveyed, 65% stated that online learning is critical to their long-term strategy (Allen & Seaman, 2011). However, a survey published by Pew Internet shows that students are not satisfied with their online learning. According to the survey, students taking online classes were asked if the educational value for an online course was the same as a face-to-face (f2f) class. Sadly, 57% of those taking online classes did not feel the online class provided the same educational value as F2F classes (Parker, Lenhart, & Moore, 2011). In addition one-third of all academic institutional leaders believe that the learning outcomes for online education are inferior to those of face-to-face instruction (Allen & Seaman, 2011). According to Zemsky and Massy (2004), students want to connect but with each other; they want to be entertained, but with movies, games, and music. “E-learning at its best is seen as a convenience and at its worst as a distraction” (Zemsky & Massy, 2004, p. iii). With this concern about the quality of online learning, why are online classes a growing trend in education? Online students have been found to value convenience and flexibility over classroom instruction. Some students are likely to think (mistakingly) that online classes are self-paced and are low in interaction (Peterson & Bond, 2004). Online students, especially in the graduate programs, often have jobs and families which, except for online instruction, would otherwise prevent them from gaining the additional education. Studies show that online learning can meet course objectives (Peterson & Bond, 2004). A professor can provide students with activities that encourage more critical thinking and student engagement (Ingram, 2005). So why are most online courses considered sub-standard? Part of the answer is that most online classes mimic the classroom (Norton & Hathaway, 2005). According to Boettcher and Conrad, as online tools are becoming easier to use, getting assistance with teaching online is getting more difficult . “These expectations reflect a belief that teaching online is not much different from teaching in a face-to-face environment. This is not the case. Teachers who are effective in the face-to-face environment will be effective as online teachers, but it is not automatic and it will not happen overnight” (Boettcher & Conrad, 2010). Part of the problem with online instruction may be in the learning management systems (LMS) themselves. Learning management systems often foster linear learning by encouraging instructors to populate the LMS with static resources and content within weekly blocks or modules (Herrington, Reeves, & Oliver, 2005). The result is that these types of online courses rely heavily on PowerPoint, computerized assessments, and online readings, all which focus on the content rather than education. Utilized in this way, the LMS emphasizes the passing of information rather than fostered learning (Norton & Hathaway, 2005). Most instructors appear to have little interest in technology even though they know their students would prefer it. Studies have shown that students believe that technology improves their efficiency, helps with motivation and confidence, and helps prepare them for their future. However, many instructors are still reluctant to consider the idea of engaging students in computer supported activities (Li, 2007). Teachers often use tools that are teacher-centered rather than student-centered because that is how they were taught. Although software such as word processing and PowerPoint can be student-centered, they are mostly used for low level skills and to distribute knowledge. This is true even in online environments (Park & Ertmer, 2007; Zemsky & Massy, 2004). What instructors believe about technology also effects their decisions on whether they use it or not. The teachers which have more student-centered beliefs tend to use online learning in more meaningful ways, utilizing the technology with more inquiry-based activities. On the other hand, if the instructor doesn’t believe that the technology aligns with the curriculum, if the instructor doesn’t feel that he is prepared, or is not confident with using the technology, then he tends not to use the technology. Personal development does help with this problem. Instructors very comfortable with their subject matter are more likely to take risks using technology (Penuel, 2006). So we have established that online courses can be very ineffective with content that is no more interesting online than it was in the classroom. Instructors need to change how they believe in order to be stellar instructors in the classroom, whether it is a F2F classroom or an online classroom. Either way, content needs to be engaging, student-centered, and with effective pedagogy. “Unless you get instructional design right, technology can only increase the speed and certainty of failure” (Horton, 2012). Boettcher, J.V. & Conrad, R.M. (2010) The online teaching survival guide: Simple and practical pedagogical tips. San Francisco, CA: Jossey-Bass. Herrington, J., Reeves, T., & Oliver, R. (2005). Online learning as information delivery: Digital myopia. Journal of Interactive Learning Research, 16(4), 353-367. Horton, W. (2012) E-learning by design. San Francisco, CA: Pfeiffer. Ingram, A.L. (2005) Engagement in online learning communities. Elements of Quality Online Education: Engaging Communities, 6, 55-67. [Sloan Center for OnLine Education]. Li, Q. (2007). Student and teacher views about technology: A tale of two cities? Journal of Research on Technology in Education, 39(4), 377-397. Norton, P., & Hathaway, D. (2005). Exploring two teacher education online learning designs: A classroom of one or many? Journal of Research on Technology in Education, 40(4), 475–495. Park. S.H. & Ertmer, P. A. (2007). Impact of problem-based learning ( PBL ) on teachers’ beliefs regarding technology use. Journal of Research on Technology in Education, 40(2), 247–267. Penuel, W. R. (2006). Implementation and effects of one-to-one computing initiatives: A research synthesis. Journal of Research on Technology in Education, 38(3), 329–349. Peterson, C. L. & Bond, N. (2004). Online compared to face-to-face teacher preparation for learning standards-based planning skills. Journal of Research on Technology in Education, 36(4), 345–360. Through its five principles, this code of best practices identifies five sets of current practices in the use of copyrighted materials in media literacy education to which the doctrine of fair use clearly applies. These practices are associated with K–12 education, higher education, and in classes given by nonprofit organizations. When students or educators use copyrighted materials in their own creative work outside of an educational context, they can rely on fair use guidelines created by other creator groups, including documentary filmmakers and online video producers. These principles apply to all forms of media. Depending on the instructional goal, educators may use materials designed for entertainment and for persuasive or advocacy purposes. They may use print, images, Web sites, moving-image media, and sound media—in both analog and digital forms. In all cases, a digital copy is the same as a hard copy in terms of fair use. Veteran teachers may keep clippings from newspapers in manila file folders to use for media literacy education; younger ones may store their materials as digital files. Functionally, their practices are identical. The principles apply in institutional settings and to non-school-based programs. Media literacy education may occur in university classrooms, in elementary schools, in computer labs in community technology centers, or in after-school and summer camp programs run by religious groups or nonprofit organizations. In addition to their fair use rights, teachers in conventional schools enjoy the benefit of limited educational exemptions under Section 110(1) and (2) of the Copyright Act. 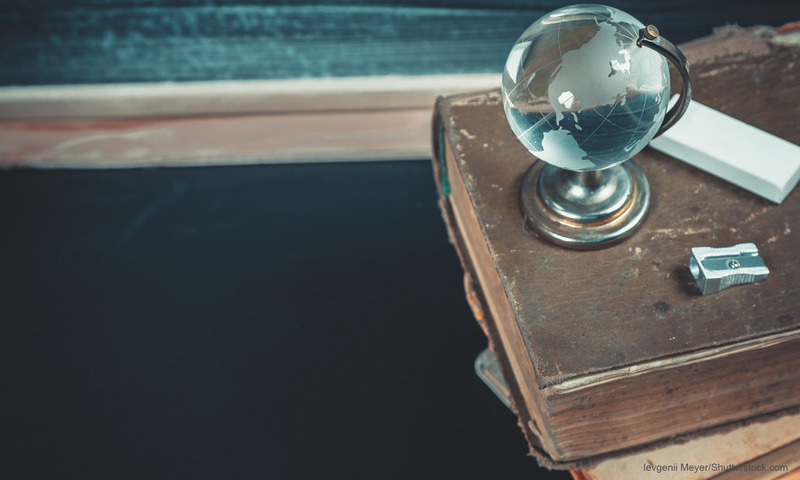 Educators in community-based organizations may not be covered by these exemptions, but they still can claim the right to use copyrighted materials under the doctrine of fair use. The principles are all subject to a “rule of proportionality.” Educators’ and students’ fair use rights extend to the portions of copyrighted works that they need to accomplish their educational goals—and sometimes even to small or short works in their entirety. By the same token, the fairness of a use depends, in part, on whether the user took more than was needed to accomplish his or her legitimate purpose. That said, there are no numerical rules of thumb that can be relied upon in making this determination. DESCRIPTION: Educators use television news, advertising, movies, still images, newspaper and magazine articles, Web sites, video games, and other copyrighted material to build critical-thinking and communication skills. Common instructional activities include comparison-contrast analysis, deconstruction (close analysis) of the form and content of a message, illustration of key points, and examination of the historical, economic, political, or social contexts in which a particular message was produced and is received. PRINCIPLE: Under fair use, educators using the concepts and techniques of media literacy can choose illustrative material from the full range of copyrighted sources and make them available to learners, in class, in workshops, in informal mentoring and teaching settings, and on school-related Web sites. LIMITATIONS: Educators should choose material that is germane to the project or topic, using only what is necessary for the educational goal or purpose for which it is being made. In some cases, this will mean using a clip or excerpt; in other cases, the whole work is needed. Whenever possible, educators should provide proper attribution and model citation practices that are appropriate to the form and context of use. Where illustrative material is made available in digital formats, educators should provide reasonable protection against third-party access and downloads. DESCRIPTION: Teachers use copyrighted materials in the creation of lesson plans, materials, tool kits, and curricula in order to apply the principles of media literacy education and use digital technologies effectively in an educational context. These materials often include clips, copies or examples of copyrighted work along with a description of instructional practices, assignments, and assessment criteria. These materials may include samples of contemporary mass media and popular culture as well as older media texts that provide historical or cultural context. PRINCIPLE: Under fair use, educators using the concepts and techniques of media literacy can integrate copyrighted material into curriculum materials, including books, workbooks, podcasts, DVD compilations, videos, Web sites, and other materials designed for learning. LIMITATIONS: Wherever possible, educators should provide attribution for quoted material, and of course they should use only what is necessary for the educational goal or purpose. The materials should meet professional standards for curriculum development, with clearly stated educational objectives, a description of instructional practices, assignments, and assessment criteria. DESCRIPTION: Media literacy curriculum materials always include copyrighted content from mass media and popular culture. Informal sharing of these materials occurs at educational conferences and through professional development programs, as well by electronic means. Media literacy curriculum materials are also developed commercially in collaboration with publishers or nonprofit organizations. PRINCIPLE: Educators using concepts and techniques of media literacy should be able to share effective examples of teaching about media and meaning with one another, including lessons and resource materials. If curriculum developers are making sound decisions on fair use when they create their materials, then their work should be able to be seen, used, and even purchased by anyone—since fair use applies to commercial materials as well as those produced outside the marketplace model. LIMITATIONS: In materials they wish to share, curriculum developers should be especially careful to choose illustrations from copyrighted media that are necessary to meet the educational objectives of the lesson, using only what furthers the educational goal or purpose for which it is being made. Often this may mean using a small portion, clip or excerpt, rather than an entire work, although sometimes it may be permissible to use more—or even all. Curriculum developers should not rely on fair use when using copyrighted third-party images or texts to promote their materials. For promotional purposes, the permissions process is appropriate. In addition, if a teacher or a school has specifically agreed to a license, then (of course) its terms are likely to be binding—even if they impinge on what would otherwise be considered fair use. And, of course, illustrative material should be properly attributed wherever possible. DESCRIPTION: Students strengthen media literacy skills by creating messages and using such symbolic forms as language, images, sound, music, and digital media to express and share meaning. In learning to use video editing software and in creating remix videos, students learn how juxtaposition reshapes meaning. Students include excerpts from copyrighted material in their own creative work for many purposes, including for comment and criticism, for illustration, to stimulate public discussion, or in incidental or accidental ways (for example, when they make a video capturing a scene from everyday life where copyrighted music is playing). PRINCIPLE: Because media literacy education cannot thrive unless learners themselves have the opportunity to learn about how media functions at the most practical level, educators using concepts and techniques of media literacy should be free to enable learners to incorporate, modify, and re-present existing media objects in their own classroom work. Media production can foster and deepen awareness of the constructed nature of all media, one of the key concepts of media literacy. The basis for fair use here is embedded in good pedagogy. LIMITATIONS: Students’ use of copyrighted material should not be a substitute for creative effort. Students should be able to understand and demonstrate, in a manner appropriate to their developmental level, how their use of a copyrighted work repurposes or transforms the original. For example, students may use copyrighted music for a variety of purposes, but cannot rely on fair use when their goal is simply to establish a mood or convey an emotional tone, or when they employ popular songs simply to exploit their appeal and popularity. Again, material that is incorporated under fair use should be properly attributed wherever possible. Students should be encouraged to make their own careful assessments of fair use and should be reminded that attribution, in itself, does not convert an infringing use into a fair one. DESCRIPTION: Students who are expected to behave responsibly as media creators and who are encouraged to reach other people outside the classroom with their work learn most deeply. Although some student media productions are simply learning exercises designed to develop knowledge and skills, media literacy educators often design assignments so that students have the opportunity to distribute their work. PRINCIPLE: Educators should work with learners to make a reasoned decision about distribution that reflects sound pedagogy and ethical values. In some cases, widespread distribution of students’ work (via the Internet, for example) is appropriate. If student work that incorporates, modifies, and re-presents existing media content meets the transformativeness standard, it can be distributed to wide audiences under the doctrine of fair use. LIMITATIONS: Educators and learners in media literacy often make uses of copyrighted works outside the marketplace, for instance in the classroom, a conference, or within a school-wide or district-wide festival. When sharing is confined to a delimited network, such uses are more likely to receive special consideration under the fair use doctrine. Especially in situations where students wish to share their work more broadly (by distributing it to the public, for example, or including it as part of a personal portfolio), educators should take the opportunity to model the real-world permissions process, with explicit emphasis not only on how that process works, but also on how it affects media making. In particular, educators should explore with students the distinction between material that should be licensed, material that is in the public domain or otherwise openly available, and copyrighted material that is subject to fair use. The ethical obligation to provide proper attribution also should be examined. And students should be encouraged to understand how their distribution of a work raises other ethical and social issues, including the privacy of the subjects involved in the media production. Most “copyright education” that educators and learners have encountered has been shaped by the concerns of commercial copyright holders, whose understandable concern about large-scale copyright piracy has caused them to equate any unlicensed use of copyrighted material with stealing. The situation has been compounded by the—again understandable—risk-aversion of school system administrators and lawyers. So-called fair use guidelines that institutional stakeholders have negotiated with some copyright holders have had similar results, intensifying fear and creating confusion among educators. These approaches have not responded directly to the actual needs of educators and learners, nor have they fully expressed or recognized the legal rights that educators and learners have. This code of best practices, by contrast, is shaped by educators for educators and the learners they serve, with the help of legal advisors. As an important first step in reclaiming their fair use rights, educators should employ this document to inform their own practices in the classroom and beyond. The next step is for educators to communicate their own learning about copyright and fair use to others, both through practice and through education. Learners mastering the concepts and techniques of media literacy need to learn about the important rights that all new creators, including themselves, have under copyright to use existing materials. Educators also need to share their knowledge and practice with critically important institutional allies and colleagues, such as librarians and school administrators. Educators need to be leaders, not followers, in establishing best practices in fair use. Cowan, Liebowitz, and Latman, P.C. Funded by the John D. and Catherine T. MacArthur Foundation, with additional support from the Ford Foundation through the Future of Public Media Project. The scenario we were supposed to write about concerned a teacher who was using materials on Africa for her fifth grade social studies class. In a nutshell from the teacher’s perspective we were supposed to write a memo explaining why we felt we could use the materials or why we used some materials we shouldn’t have used. I couldn’t find a reason why the teacher did anything wrong. Below is the paper I wrote. Although I copied the documentaries with my VCR, I believe I did so legally under sections 106 and 106A. I showed The Ghost and the Darkness in it’s entirety, however, I provided the movie for instruction rather than entertainment. There appears to be no direct reference within the fair use law that specifies any time restrictions or limitations to how I may use a video for educational purposes. What I understand from my research is that in most cases, utilizing media in the classroom will not have copyright implications as the content in question is covered by exemptions for educators in Sections 110.1 and 110.2 of the Copyright Act. On the other hand, according to the website from the Center for Social Media at the American University, “The various negotiated agreements that have emerged since passage of the Copyright Act of 1976 have never had the force of law, and in fact, the guidelines bear little relationship to the actual doctrine of fair use.” (http://centerforsocialmedia.org/) Although this quote specifically refers to media literacy education, it is reasonable to infer that using media, as is, also falls under this scope. Those who try to limit fair use forget that the reason we have fair use in the first place is so that our students may have the benefit of the copyrighted material. There is an unwarranted fear and confusion about copyright and fair use laws which hinders the quality of teaching in this school. Misinformation about fair use squelches learning and limits the use of interesting learning tools. Other than close my classroom doors and hide what I fear is infringement, or comply with imagined fabricated rules that exceed the spirit and letter of the law, I would like to clear this misunderstanding up so that I do not limit the effectiveness of my teaching. As there is so much confusion and misinformation concerning copyright law, many groups have developed best practices to follow concerning copyright. For example, documentary film makers have their own code. A group from the Center of Social Media at American University developed a code of best practices by educators with the help of legal advisors; the intent of the code is to guide educators concerning fair use in the classroom. The code was reviewed by a committee of legal scholars and lawyers expert in copyright and fair use. Although the code is not law, I believe that this code is congruent with the spirit of fair use and applies to my use of copyrighted materials. The principles concern the unlicensed fair use of copyrighted materials for education, not the way those materials were acquired. When a user’s copy was obtained illegally or in bad faith, that fact may affect fair use analysis. Otherwise, of course, where a use is fair, it is irrelevant whether the source of the content in question was a recorded over-the-air broadcast, a teacher’s personal copy of a newspaper or a DVD, or a rented or borrowed piece of media. Labels on commercial media products proclaiming that they are “licensed for home [or private or educational or noncommercial] use only” do not affect in any way the educator’s ability to make fair use of the contents—in fact, such legends have no legal effect whatsoever…..Educators’ and students’ fair use rights extend to the portions of copyrighted works that they need to accomplish their educational goals—and sometimes even to small or short works in their entirety. By the same token, the fairness of a use depends, in part, on whether the user took more than was needed to accomplish his or her legitimate purpose. That said, there are no numerical rules of thumb that can be relied upon in making this determination. The above statement, reviewed by a legal advisory board, makes it clear that the materials I am using in the classroom fall under fair use. I will, however, remain diligent to remain complaint with copyright laws. If educators want to make a difference in our student’s learning, we need to incorporate hands-on active learning tools, rich with interesting content, applicable to today’s media saturated students. In order to get their attention, we must change how we teach, and if that means that we are bold with fair use laws, so be it. As computers have became a common tool for students to function effectively in the classroom and to be productive in their personal lives, it should not be surprising that these students come to college with the expectation of anytime, anywhere computer access. Studies have found that most college students believe the computer to be an asset to their learning. (Lauricella, & Kay, 2010). There are some significant strengths to requiring laptops in the classroom. Access to laptops opens doors for designing more student centered and constructivist lessons, and less lectures. (Dunleavy, Dexter, & Heinecke, 2007) A study at MIT found laptops to be especially useful in large lecture halls where extended lectures are usually the norm. The study “examined the students’ perceptions of the studio classes, characterized their learning, and evaluated whether and how the studio style classes with the use of wireless laptop computers facilitate active learning in large lecture halls. “ (Barak, Lipson, & Lerman, 2006, p. 245). What they found was wireless laptop computers enabled the integration of lectures with hands on learning. Laptops used by students were superior to the traditional computer lab, and that their study was in line with other studies that support laptops in the classroom. (Barak et al., 2006) Like desktop computers, laptops have the educational advantages of facilitating student learning through problem solving, collaborating with other students, and researching. However, laptops have the added advantage of being portable so that coursework started in class can be finished at home, or in the library, or away from the university. Therefore, many colleges have moved from computer labs to requiring laptops of all students. However, laptops should not only be used by students and faculty in universities, they should be purchased by the universities for the students and faculty, fully loaded with the appropriate software and hardware. Although the university may find it prudent to offer a couple of different packages (graphic design departments tend to utilize Macs) (Orr, Sherony, & Steinhaus, 2008), the laptop otherwise should be identical, loaded with standard software thereby meeting the requirements of the course, regardless of the major. This is beneficial because even if the student switches majors, he or she will still have access to programs required. In addition, a wide choice of computer applications gives students the opportunity to explore software they may not have purchased on their own. An advantage of providing loaded laptops to every student is that it levels the playing field. Some studies suggest laptops provide students with more access to resources and learning opportunities. (Penue, 2006). Every student, regardless of their income will have the same opportunities to own and use a laptop without the inconveniences of checking one out of the library or working in a lab. Most universities that require laptops, like the University of North Carolina, provide grants for those in need (Carolina Computing Initiative). Other universities incorporate laptops as part of the tuition so that if financial aid is needed, it will be covered. However, for schools that do not offer assistance, laptops are expensive and without funds for the disadvantaged, some students may have problems purchasing a laptop and all necessary software. Teachers that believe that technology will support their curriculum are more likely to use it. (Penue, 2006). In addition, although professors may need help with the technology themselves, what was more critical was that they get help integrating the technology into their curriculum. In the past, most computer use has been to duplicate lecture styles with little change on how teacher’s teach. However, as teachers are trained and see what students are able to do, they are less reluctant to assign more complex projects. A laptop is a tool, and like any tool, its effectiveness is contingent upon the how the tool is used. The presence of a technological tool is not sufficient for enhanced learning. Although difficult to measure, computer skills are imperative for the 21st century workplace. In order for technology to make a difference, however, students must be able to use the computers and programs at home or in the dorms (Penue, 2006). If they take the laptops with them to class, projects started in the classroom may be continued elsewhere. However, there must be adequate technical support and on-site repair, plus reliable internet connections available 224/7. Teachers must be trained not only in the technology itself, but understand how the technology integrates into their curriculum, with professional development classes that show the teachers how to utilize the laptops for active learning. Barak, M., Lipson, A., & Lerman, S. (2006, Spring). Wireless laptops as means for promoting active learning in large lecture halls. Journal of Research on Technology in Education. Vol 38(3). ISTE (International Society for Technology in Education). Dunleavy, M., Dexter, S. & Heinecke, W.F. (2007). What added value does a 1:1 student to laptop ratio bring to technology-supported teaching and learning? Journal of Computer Assisted Learning, 23, 440–452. Blackwell Publishing Ltd.
Lauricella, S., & Kay, R. (2010). Assessing laptop use in higher education classrooms: The laptop effectiveness scale (LES). Australasian Journal of Educational Technology. vol 26(2). Penue, W. R. (2006). Implementation and effects of one-to-one computing initiatives: A research synthesis. Journal of Research on Technology in Education. vol 38(3). ISTE (International Society for Technology in Education). Well, my professor didn’t care much for my blogging idea either. His comments, in red. “The two things that bother me a little are first, that it was hard to know the goal or the point to these. Why are kids blogging, for example?” Should I have to tell HIM that? It is in his book! This assignment, at its very core, is constructivism. This project on blogging, correctly executed, teaches the students that they can learn on their own and write about subjects that they have a passion about. To write a post on the BLOG, the students browse, read and think about what is most interesting to them and then write about it. If they are to blog about almost anything, then that seems to put a lot of responsibility on them. Why? because they learn better if they can construct their own topics and issues. He says so, in his book, So is his question that we didn’t explain why or is he really asking why? I feel really bad on this point because the blog was my responsibility and my team members had all sorts of guidelines and rules they wanted to add to the blog section. But I wore them down because I thought that it took away from the spirit of constructivism, which is what we were writing about. I never heard of constructivism before this class. I’m not an educator, but I do know that I learn when I am excited about learning, and I thought how exciting to begin 6th graders on constructivist activities. I was so excited about what I learned in the textbook that I started a blog about my learning process. And that is where I got the idea about the blog. I had also read about blogs in Will Richardson’s book about Blog, Wikis, and Podcasts. He gave examples of some elementary classrooms that used blogs as a learning tool. I looked those blogs up and they were really cool. Second, I’m not clear on how assessment will done for these. Why must everything be assessed? Can’t learning be for fun, at least some of the time? I’m not a teacher, how would I know if everything should be assessed, especially for 6th graders? Is there something I should know here? Debate: Bill (alias) and I aren’t teachers, not sure about Kim (alias). So I don’t understand how we are supposed to think like teachers and write effective scenarios for elementary school students. Jonassen, D.H. (1998). Computers as mind tools for engaging learners in critical thinking. TechTrends, 43, 24–32. Jonassen, D., Howland, J., & Marra, R., (2011). Meaningful learning with technology (4th Edition) (Kindle Locations 595–596). Allyn & Bacon. Kindle Edition. Tiene, D. & Ingram, A. (2001). Exploring current issues in educational technology. Basically one of the group members, Bill (alias), had an idea about using a video camera to have student work in groups and research, write, and produce a 4 minute video to create interest in and awareness of a social issue that is important to the sixth graders. Good idea. Everyone agreed and Bill wrote out the proposal, etc. I had been reading about blogs in the book, Blogs, Wikis, Podcasts, and Other Powerful Web Tools for the Classroom so my suggestion for the second proposal was for the teacher to utilize a BLOG in her class. My proposal stated that “the students may write about whatever interests them as long as it can be used under the categories in the BLOG. The categories are science, geography, health and fitness, math, social science, literature, language arts, and mathematics. Each student must make at least one post and two comments once a week. A post has minimum word count of 200 words. The students may use the available video camera to link video, audio, photos—anything as long as it relates to the content the class is studying (the word count may be removed in video instances). The other two members didn’t care much for that idea unless there were a BUNCH of restrictions attached. (Quote “we need to incorporate some specific activities and expectations. For example, for each blog stating their opinions and research on a subject, the student has to cite at least one unique source and one unique blogger to back it up. I say “unique” meaning a different source or blogger for each of their blog entries. I think it is important to make the students responsible to do research and to collect a variety of perspectives.”) Bah Humbug. They missed the constructivist point! We learn what we are interested in! For instance, even though I am NOT interested in writing a paper for a sixth grade teacher that doesn’t even exist (my goal is to work in higher ed), I AM interested in blogging and constructivism. Therefore, I spent a lot of time looking at web sites of teachers who use blogs in the classroom. And I can tell you they were pretty neat. Not only that, a bunch of stinking rules is propably why smart people like Thomas Edison quit going to school. In the end, we are all selfish and want to learn what we want to learn. Okay, Okay, I know we can’t run schools that way….too many lazy kids wouldn’t learn anything…I guess. And there are some things we just MUST know. But what would it hurt, for an hour a day for students to learn what they want to learn? Look at all the skills they would learn along the way! The purpose of the blog is to show that exploration is as important as facts, that if the excitement comes first, the learning will naturally follow. Since the “tenets are essentially to encourage pupils to initiate their own learning experiences, with an emphasis on their being able to ‘construct’ their own set of mental representations, topics, and issues,” (Tiene & Ingram, 2001, p. 76), then this assignment, at its very core, is constructivism. This project on blogging, correctly executed, teaches the students that they can learn on their own and write about subjects that they have a passion about. To write a post on the BLOG, the students browse, read and think about what is most interesting to them and then write about it. Students often write on subjects and topics based on their prior knowledge. Therefore the student is an active participant in the process of building knowledge and are able to expand on what they already know through exploration of multiple perspectives. As the blogger continues to write about their interests, the blogger becomes an “expert” in whatever they are writing about. These ideas combine to fit the criteria of constructivism. Constructionists believe that learning is social. We become learners by testing our knowledge with other learners. (Tiene & Ingram, 2001) Blogging is social. The BLOG is on the internet, available for anyone to read; in fact, Janice has already recruited an audience. Readers are encouraged to comment which provides a back and forth dialogue. “Constructivism proposes that learning environments should support multiple perspectives or interpretations of reality, knowledge, construction, and context-rich experienced-based activities.”(Jonassen,1998). Blogging encourages different and diverse perspectives in a social environment. The posts in the blog connects readers and writers to real world experiences in a context which is meaningful and builds knowledge. Another important facet of constructivism is collaboration. “[K]nowledge is constructed individually and socially based on students’ interactions with the world and each other.” (Jonassen & Marra, 2011, Kindle Locations 595–596). The students must work together on the BLOG. Together they decide the name of the BLOG, the artwork and general layout. They work together proofreading and commenting on each other’s posts. The students share leads and other writing pointers. They may work together to produce a video or slide show for the BLOG. Sounds like learning is going on to me. Anyway, I wore the other members of the group down. I’m interested to see what the professor will say. This week as I was working on a project in my Researching Current Issues in Technology Class, I became more familiar with Blogging as a teaching tool. I am using this blog to teach myself. Learning by doing is a constructivist principle. “The key to understanding constructivism like in the belief that people learn by actively trying to make sense of information and experiences….They construct knowledge through their interactions with people and their activities in the physical world.” (Tiene, D., & Ingram, A., 2001) By writing this blog, I am learning by actively doing. I’ve been reading some of my RSS feeds on the subject of blogging but the book I am enjoying most is called Blogs, Wikis, Podcasts, and other Powerful Web Tools for Classrooms. (Richardson, W., 2010) I read the book back in August but I am re-reading it now, trying to get more out of it. Most of my material fro this blog comes from this powerful book. “We write not just to communicate, but to connect to others who can potentially teach us more.” (Richardson, et al., p28) Blogging is by it’s very nature a constructivist tool. Another principle of constructivism is that people learn by interacting with other people. And blogging is nothing, if not a social tool. A blog isn’t a journal however. A blog is reflective and complex; it is written for a large audience, therefore must be written with the audience in mind. Readers have the opportunity to comment in a blog, which may create a dialogue and an opportunity for increased learning. A blog is more like an editorial in a newspaper, where the writer is seeking relevance in the issue. The blogger is editor, writer, and researcher. It is natural to be more careful with thoughts and grammar when the writer knows it will be published for millions to see. A really good blogger is someone who reads as much as writes. By reading articles, a blogger is reading critically for ideas to write about. Bloggers “must be able to find connections and articulate the relevance of those connections.”(Richardson, et al., p32) This is higher learning written down. In Researching Current Issues, the authors argue that the best approach to teaching “is to ground all learning as much as possible in tasks, activities, and problems that are meaningful to the student.” (Tiene, D., & Ingram, A., 2001) Simple albeit profound, learning is about the student! If the student learns something important to them, then they will learn not only what interest them but many peripheral facts as well. Ahhh! That’s why I can listen to tapes on how do use a particular software, go through the exercises, and still not retain the knowledge! Not only does it put me to sleep after a while, but if the exercises do not mean anything to me personally, I have a motivation problem and forget what I have learned quickly. That’s why I work better as I follow along if I am working on a real-world project. So, selfishly, I get the project done, and I also learn the task of running the software! Mason, R., & Rennie, F. (2008). E-learning and social networking handbook: Resources for higher education. New York, NY: Routledge. Tiene, D., & Ingram, A. (2001). Researching current issues in instructional technology. New York, NY: McGraw-Hill.